Let's talk politics. Something I'm sure we all have opinions on yet are too afraid to express for fear of criticism or shunning from others. Personally I've had it up to hear with all the politically correct stuff. I want to hear people's true thoughts not what they think others need or want to hear. Trump seems to be the hot trending topic on social media these days, especially his latest comments about wanting to temporarily ban Muslims from entering the United States. While his comments seem outrageous to many, at least he is being honest and forth right with his opinions. Love or hate him it's ones choice. That's the great thing about freedom being able to have your own opinions and express them freely. Maybe the guy is leading in polls not because he might be the best candidate but because Americans want real change instead of the political correct bs of the typical career politician. They want to hear what the politicians really think not what the politicians think everyone wants to hear. Trump wants to make American great again and that's what people want to hear. They want someone willing and not afraid to stand up to the craziness the government has become. The other candidates, and our current politicians need to start getting the balls to do this too. Some already do but many don't. We need to hear from more of the candidates, we need their candor and honest as well. The American people want real solutions to the problems that exist...economy, education, health insurance, social security, taxes, immigration, foreign policy, environment, outsourcing, taxes and so on. Not just temporary fixes but real solutions. 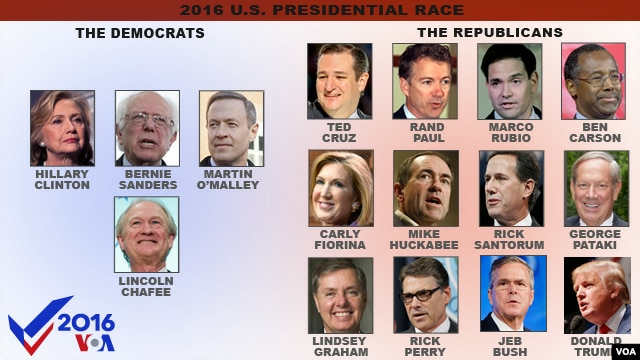 There are plenty of other GOP candidates running for the Republican nomination. And at least two Democrats running for their party's nomination as well. But we don't hear their opinions, plans or thoughts voiced in the mainstream media hoopla. Why. When the constitution was created by our forefathers, when a government was established....wonder if they ever imagined it would turn into such the corrupt, dishonest, mess it has. We were given this amazing, beautiful planet to live on yet why can't our government compromise and find ways to work together to make it a great place for every human being and animal to live? Why does there have to be such division, corruption, dishonesty and even hate? Trump talks of banning Muslims, I have a much better idea. How about we ban all our politicians from collecting their benefits, salaries and taking vacations until they come up with real solutions to the many problems that plague this country. This political presidential campaign stuff has only just begun, here's hoping all the candidates have the guts to be honest, to walk their talk, to not be bought and share their true opinions with the public. Most importantly they need to figure out real solutions, not temporary fixes, to today's problems.